Marvelous news. Bodes well for 2018 and 2020. MIAMI — Strike … four. In the fourth and final Florida bellwether election since 2016, the Democratic candidate beat the Republican in a contested race, providing the best evidence yet that the GOP is in retreat heading into the midterm elections under an unpopular president. 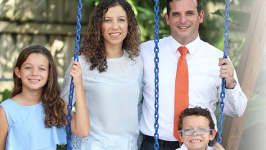 On Tuesday, in Florida’s 114th state House District in Miami, Javier Fernandez beat Republican Andrew Vargas by about 4.1 percentage points, despite being outspent by at least 2-1 in a swing seat where voters split their tickets between both parties in the 2016 elections. “Let the Blue Wave Continue!" crowed the chairwoman of Florida’s Democratic Party, Terrie Rizzo. "Tonight's special election victory is the latest of a string of special election victories for Florida Democrats which shows us that after nearly 20 years of failed Republican leadership — people are ready for change,” she said in a written statement. 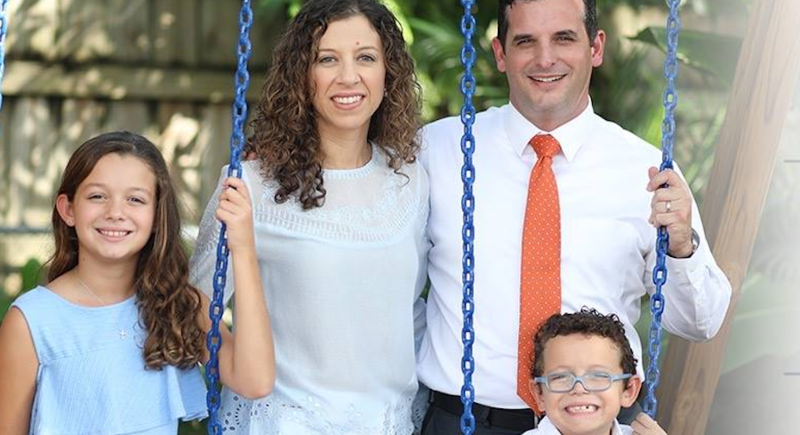 Fernandez’s win follows a shocking February victory by Democrat Margaret Good in Florida’s 72nd House District, which voted for President Donald Trump. Democrats also won Florida’s 40th Senate District in Miami-Dade and St. Petersburg’s mayoral race. Those last two elections had Democratic-leaning electorates with significant minority populations, unlike the 72nd in Sarasota and, to a lesser degree, the 114th District. The win was also big for Florida Democrats because they finally started to build a bench by electing their second Cuban-American Democrat from Miami-Dade County to the Florida Legislature, where the 42-year-old Fernandez will join state Sen. José Javier Rodríguez. Cuban-Americans dominate the power structure in Florida’s most-populous county, though they’re overwhelmingly Republican. But as the older generation gives way to second- and third-generation Cuban-Americans, political observers have been predicting for years that more would become Democrats. In 2016, the 114th chose Democrat Daisy Baez by 2 percentage points, but Sen. Marco Rubio — who used to represent parts of the district — won it by 4.3 percentage points. Trump, though, lost it by 14 points. The special election was triggered after Baez resigned for lying to investigators about her residency in the district. The election was more about bragging rights for both political parties, because the state legislative session is over. No special session is likely to be called, so the winner, Fernandez, will have to run again in November anyway. By registration, Republicans outnumber Democrats by about 1 percentage point. But independents make up roughly 31 percent of the voters. And Tuesday’s election showed the swing voters of the swing district favored the Democrat. Despite Trump’s unpopularity, Democrats didn’t play it up — a sign, they say, that the atmosphere in the nation’s largest swing state is toxic for the GOP. Still, Republicans say Trump’s approval ratings are slowly improving and they hope that one of his closest allies, Gov. Rick Scott, will be able to fight the headwinds in his race against Democratic Sen. Bill Nelson thanks to the governor’s improving poll numbers and the unprecedented $5 million in TV ads that he’s already dropping. But Juan Peñalosa, the executive director of the Florida Democratic Party, said the wins show that Florida Democrats’ get-out-the-vote field program is working and that Republicans can’t keep up on the ground or when it comes to the message they’re delivering to voters. Farther north, in another special state House election, Republicans hung on to their seat when Josie Tomkow quickly dispatched Democrat Ricky Shirah in Florida’s 39th House District, a GOP stronghold the Democrats didn’t contest. While the Florida House is likely to stay Republican for years, Fernandez’s win bolstered hopes that Democrats could be closer to taking back the Florida Senate if they can flip five seats in the 40-member chamber. Republicans lauded Fernandez. And they sounded spooked at the Democratic gains in the Legislature, where the GOP remains in charge of the Florida House and Senate, as well as the governor’s mansion and Florida Cabinet.